Update to this version is available only from a new image of SD card, because it depends on system update. new - change sensors table, to bar graph, with color signalise out of area. new - add link to concentrate control palete, under left control menu. 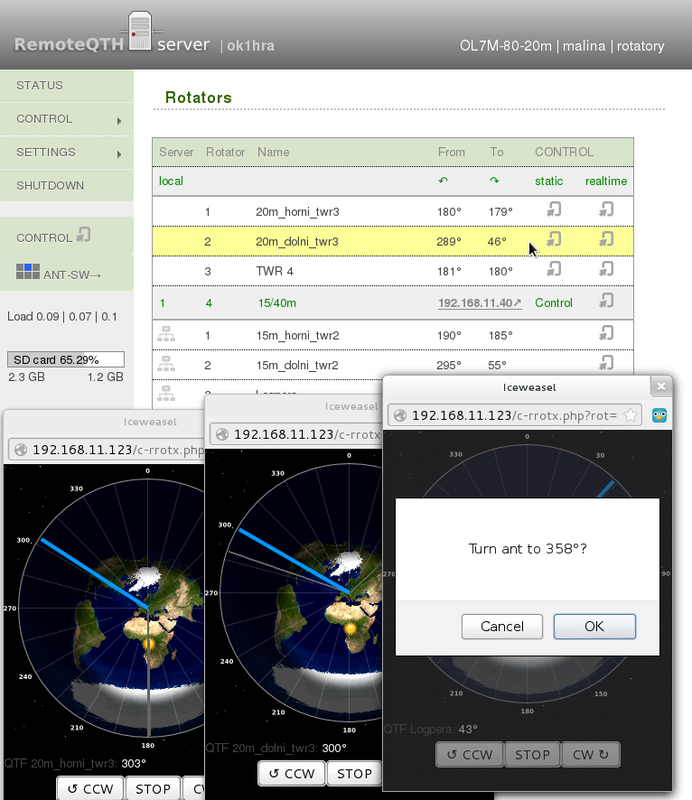 update - redesigned control page (mob.php) control from smartphone. new - add web dir /own/ symlink to /var/www.own/ for own custom html/php pages. new - detection Voyage linux on Alix board. new - button for remount Voyage linux filesystem read-write/only. new - add note to server header page for better orientation between more servers unit. new - LPT use for relay controll on Alix board added. 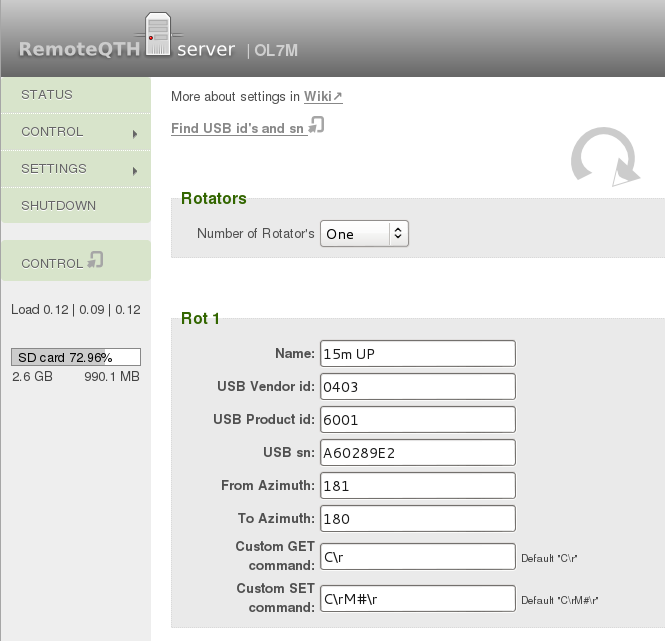 new - add symlink the rotators config for external controll. fix - after this update web login set to default ('yourcall'/'1234'), last update is ready. new - after update save log into /log directory. new - arm/x86 platform detected for future migrate to x86. new - ttyQR and sun binary compiled for x86. new - add information page after update.